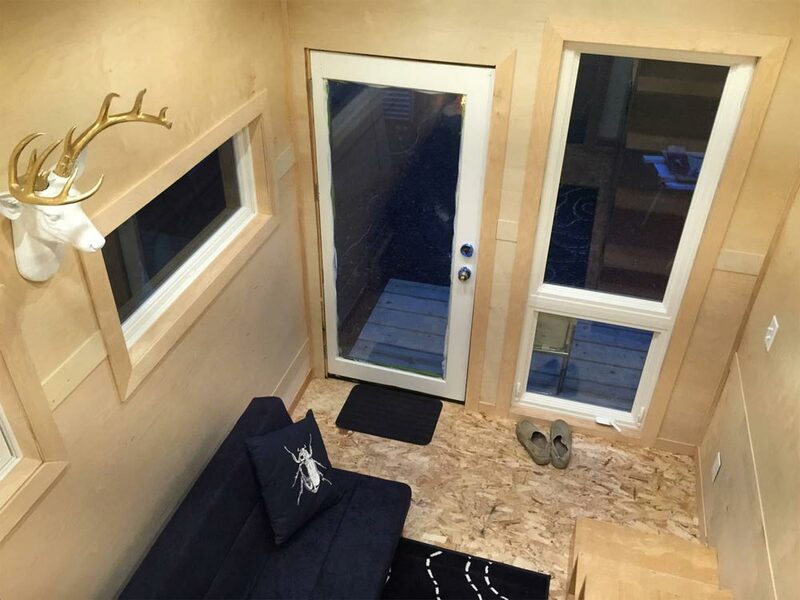 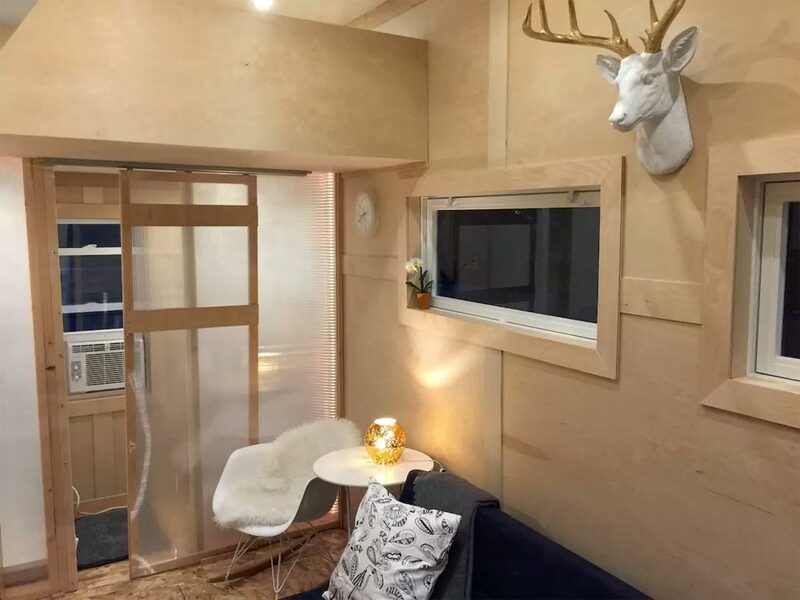 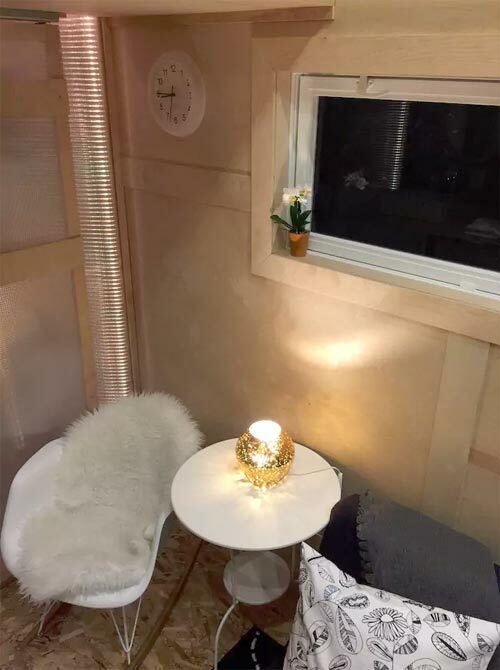 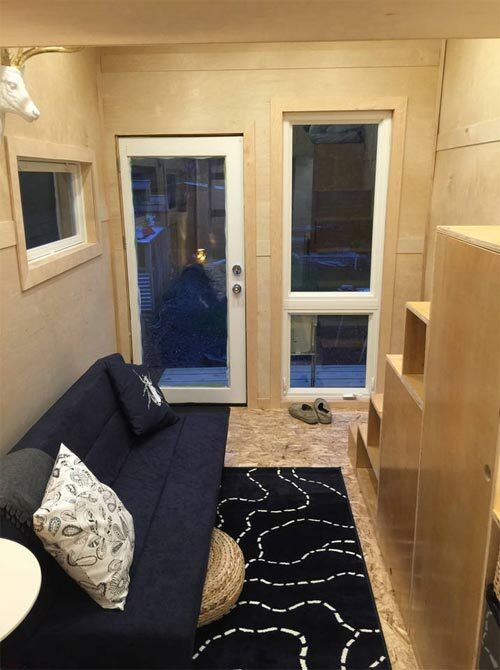 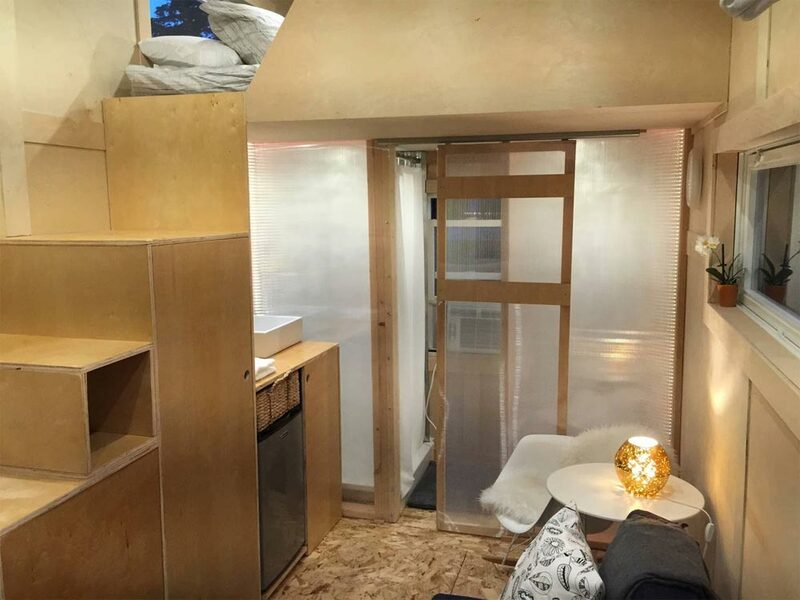 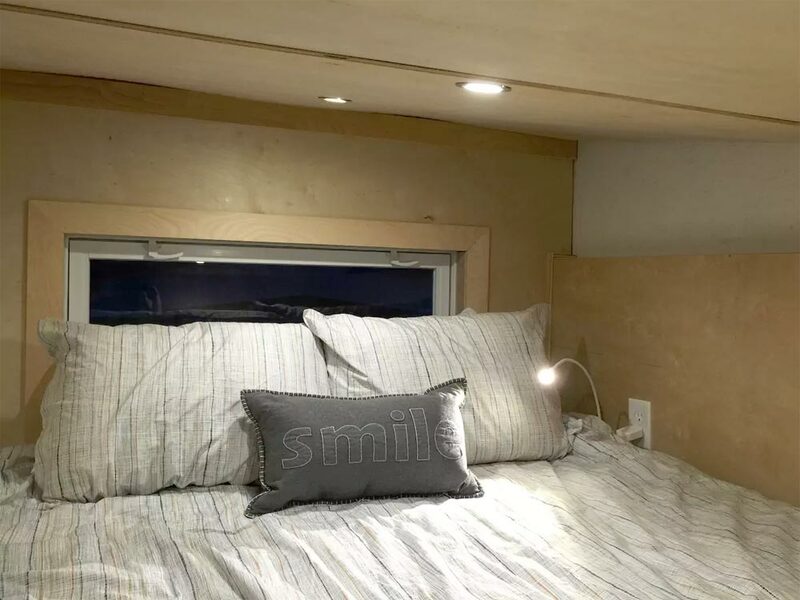 This modern tiny house is located in Gretna, Nebraska and available for nightly rental through Airbnb. 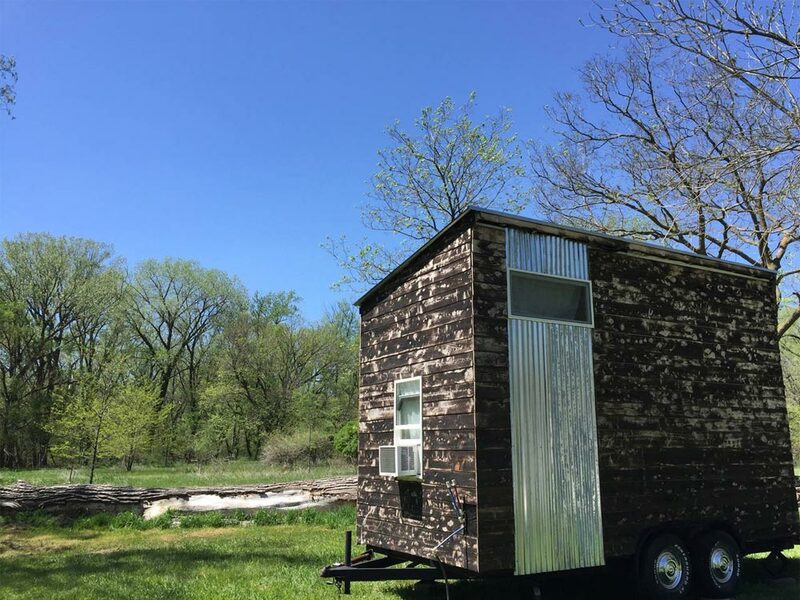 The house was built by the owner, Jamison, and is located in a quiet wooded area near a goat farm with plenty of parking. 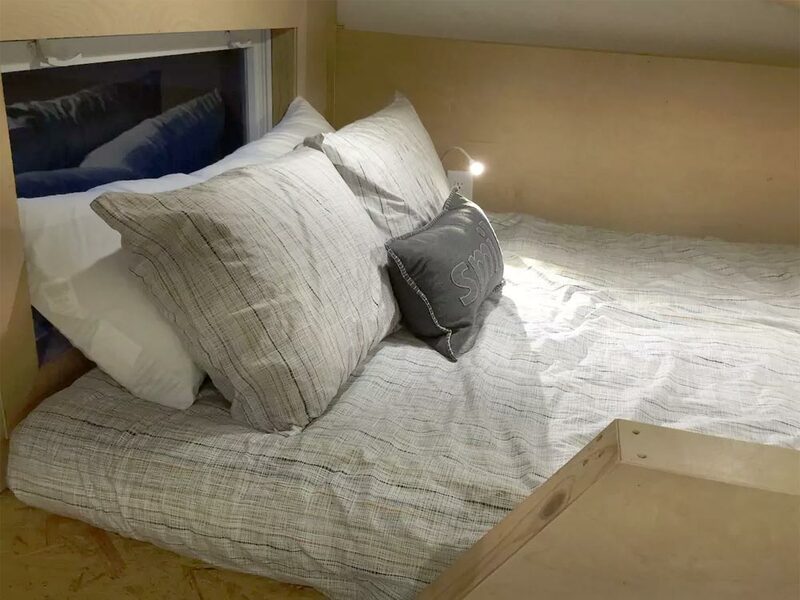 The house has a bedroom loft with a queen size bed, a sofa bed, and a small kitchenette with a refrigerator, sink, and coffee maker. 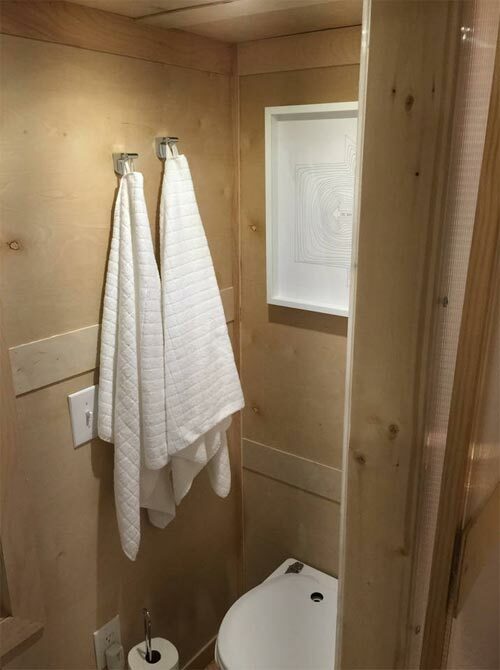 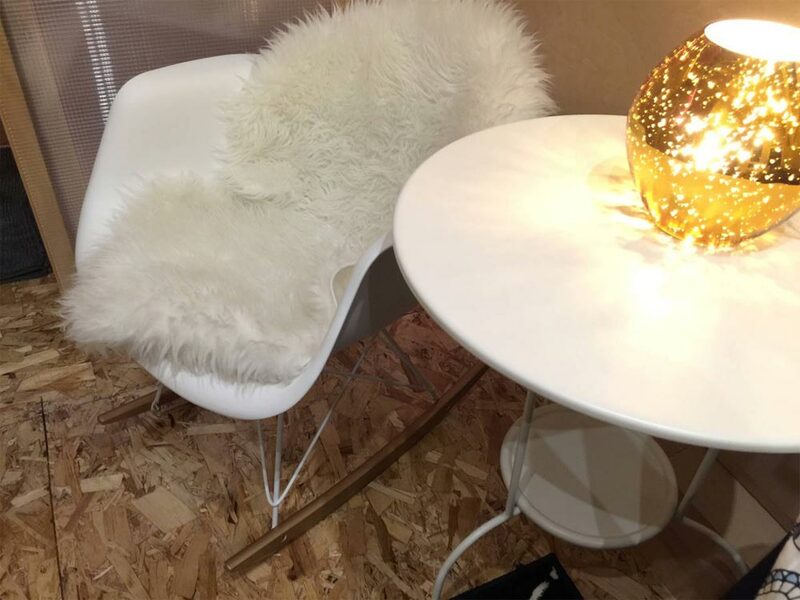 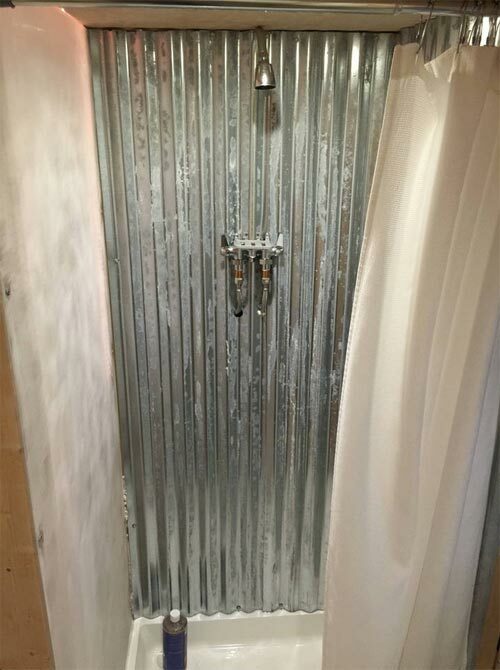 There is an electric heater, on-demand water heater, and a composting toilet. 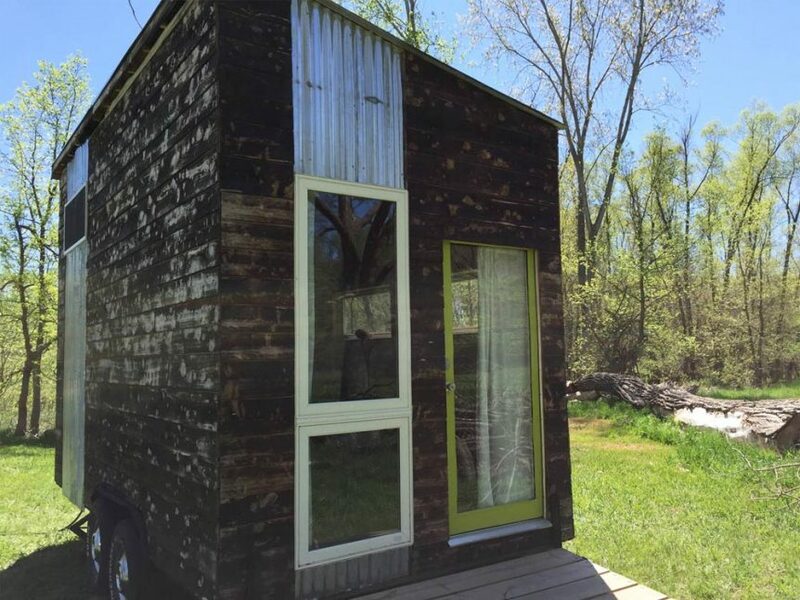 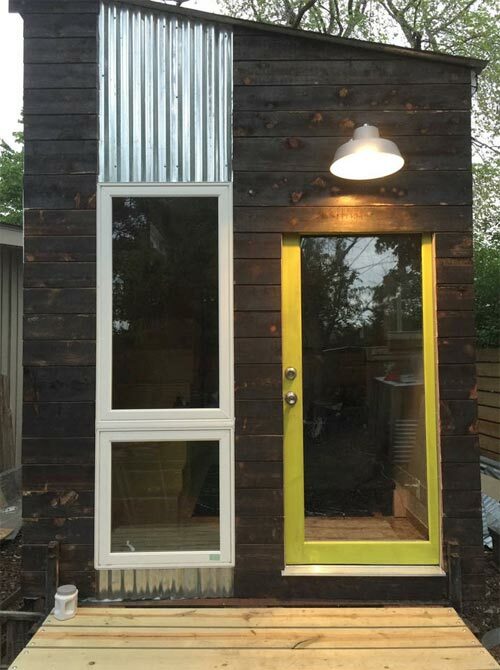 This tiny house currently has approximately 300 reviews on Airbnb and a 5-star rating. 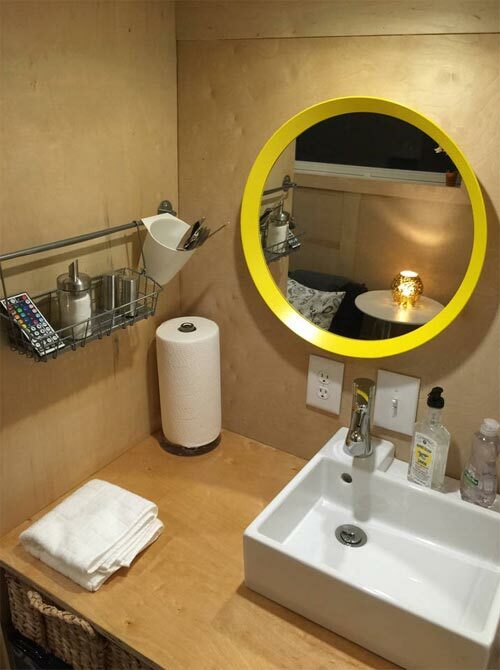 Nightly rates start at $66.